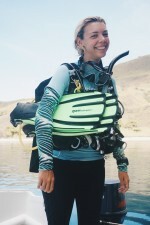 dive-education.com on ScubaTribe - ratings and reviews for scuba divers. Hallo! 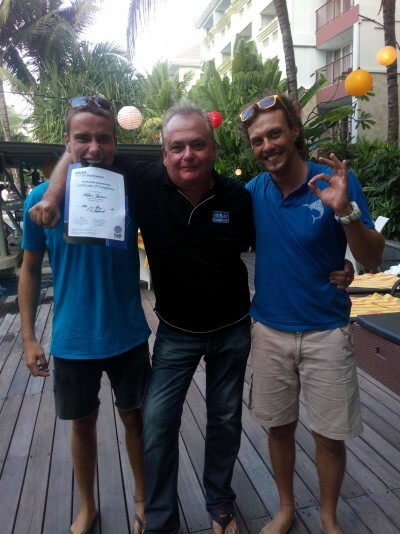 My name is Matt and I am a PADI Course Director. 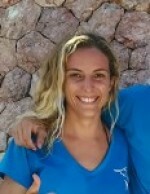 I use the platform www.dive-education.com to share my experiences and information about PADI Courses, especially about our IDCs! Thank you for reading and if you have any question you can contact me at info@dive-education.com. Happy bubbles! 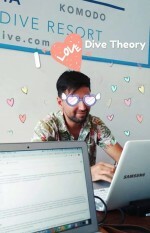 dive-education.com will soon be in touch. 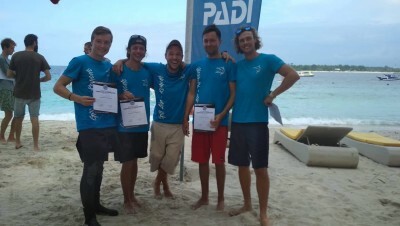 www.dive-education.com Blue Marlin Gili Air - 17 reviews. www.dive-education.com Blue Marlin Komodo - 28 reviews. Follow your dreams, in a safe way. 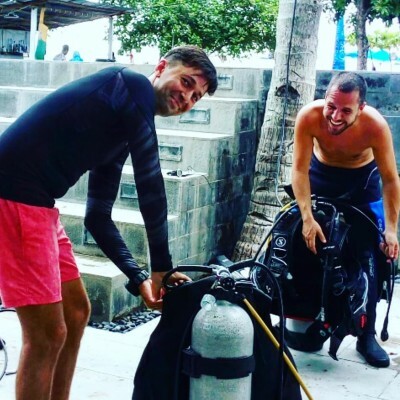 I've always dreamt about becoming a dive Instructor since I was a kid. And I start working tomorrow, one week after finishing the Instructor Examination. When you have a dream, everything you do is try to make it real, usually is hard, but with the correct people can be easier. This is what happen with Matt and his course, it have been an amazing days, a lot of new information easy to understand thanks to his way to teach, of course is not easy deal with a big group, everyone different, different ages, different experiences... but he did. He maked us ready for the instructor life, more than ready! I expend really good time in Blue Marlin Gili Air, this paradise is the best place ever to be, good people around, like a little family where you feel part of it since the first second. Then your buddies, thats your real family for two weeks, wich are going to stay in my heart forever. Thanks everyone who was around, thanks for the time and experiences, laughs and cries. Thanks Matt for your knowledge, patience, jokes, support and thanks for make it easier. Very nice dive shop ! 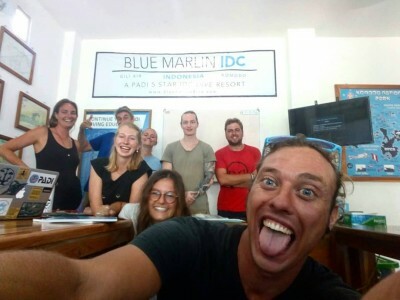 I did an IDC course with Matt at Blue marlin gili air... it was awesome... everyone pass the exam... all the dive shop, manager, divers, divemasters, local staff were supportive. I really felt the familly mood ! Thank you very much ! 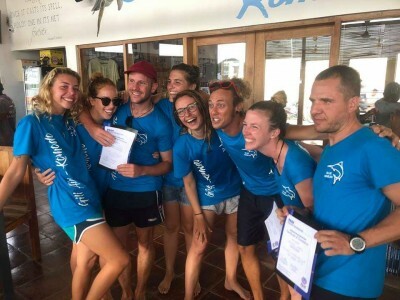 best of success in your dive career! Thank you Kyle for the nice review. You will be a great IDC Staff Instructor! Really recommended, go for it!! 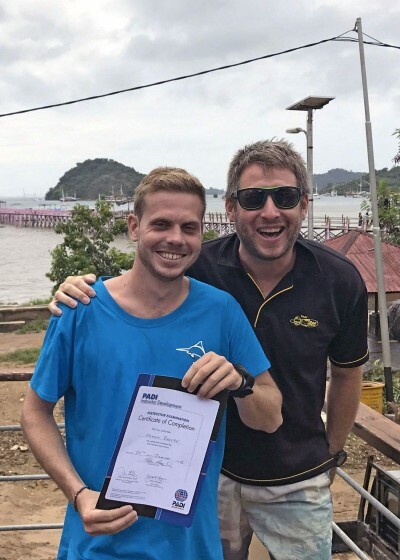 I did my IDC course with Matt (Blue Marlin) in Labuan Bajo (Komodo) last month. Before to start the course, Matt provides you the material which it's very useful to study before the course begins. The 2 days preparation were very useful, I really recommand it!! I really like the detailed schedule which Matt give us at the beginning of the course which it's helping to see a very clear vision what we are going to do but also for the homework have to be done. He is very patient, kind, available to answer at yours questions anytime, he speaks fews languages so it's very helpful if there is something you don't understand well and also he is very supportive. I really felt definitely ready for the IE!!! Thanks a lot for all your support and your hard work!! This IDC was amazing in so many ways. Matt is patient, kind, knowledgable, professional, fun, and motivating! To start with, he provides study material before the IDC even begins (if you have the time to do the 2day prep- do it!! Very useful). A detailed schedule is provided so it's clear what needs to be done by what date. I never felt unprepared or excessively stressed. If there is something you don't understand, he will find different ways to explain it until you fully grasp the concept. If you do the work he asks of you, you will walk into the IE completely prepared for anything the examiner might throw at you. 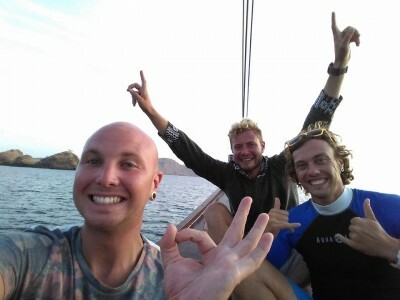 I chose to participate in the 4day liveaboard on Ikan Biru (Komodo) which I also recommend! 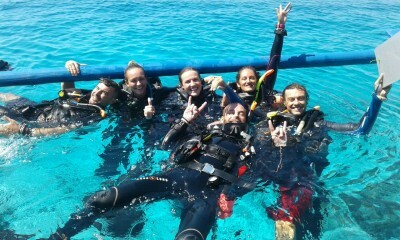 Not only was the diving amazing- the staff, facilities, food, and overall experience was unforgettable. After the course, Matt remained a resource for me and the other candidates. He helped/helps us with CVs and job-hunting with no hesitation. I am so thankful for this experience- it was truly worth every penny. Take notes, ask questions, and have fun! Thank you infinitely for this nice review Maiah. Best of success in your career which I am sure it will be great! Firstly, Gili Air is an amazing island with nice chill vibes, no cars, no motorbikes and amazing friendly local people. 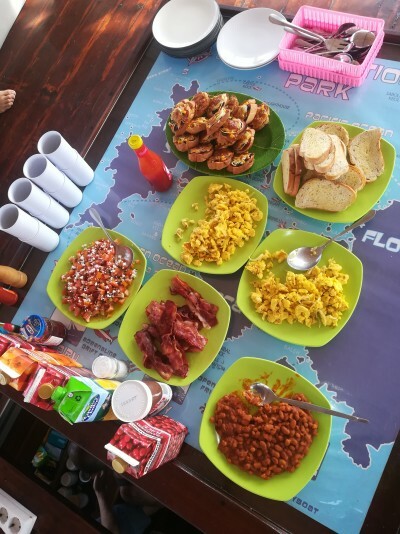 Secondly, Blue Marlin is a really good dive center, staff are very friendly, very good facilities and diving equipment. But most important the IDC with Matt was very rewarding regarding all the aspects of it. Very good preparation, nice classroom, big pool and Matt was excellent at his job, able to communicate in different languages. Thank you Matt mostly for your patience and your support. Keep on training good and responsible instructors! See you soon! I did my IDC with Matt - Blue Marlin Komodo and to be honest it was a really intense time and you had to work quite hard. But Matt created a realistic schedule that allows you to have an overview of this almost 3 weeks. Also, he covered the course with a lot of fun and he never gave up. Even when you had a hard time with some physic stuff. After the IDC you are more than ready to go to your IE and show to the examiner what you’ve learnt. 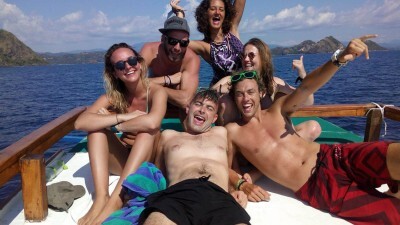 Also, they offer after your IE to learn how to teach the specialities on their wonderful liveaboard. That was also absolutely fantastic and such a great experience. I can just say; Thanks Matt - for this amazing time! Ich habe meinen IDC mit Matt von Blue Marlin Komodo gemacht und um ehrlich zu sein es war eine sehr intensive aber auch sehr lehrreiche Zeit. Matt hat einen realistischen Zeitplan erstellt der einem einen überblick erschafft über die fast 3 Wochen. Inklusive den 2 Vorbereitungstage sowie die Prüfungstage. Er gestaltete den Kurs sehr abwechslungsreich und man konnte viel und oft mit ihm lachen. Er hat auch nie aufgegeben! 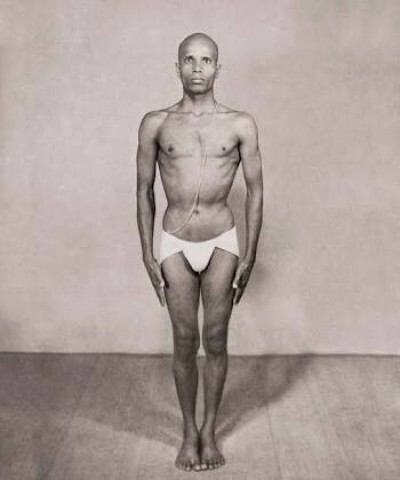 Auch wenn du eine schwierige Zeit hast mit einigen Physicaufgaben. Nach dem IDC bust du mehr als bereit an deinen IE zu gehen um deinem Examiner zu zeigen was du alles gelernt hast und kannst. Blue Marlin offeriert auch anschliessend die Specialities zu machen auf dem Liveaboard. Das war natürlich auch wunderbar! Vielen lieben Dank Matt für diese unvergessliche Zeit! Go go go for it ! 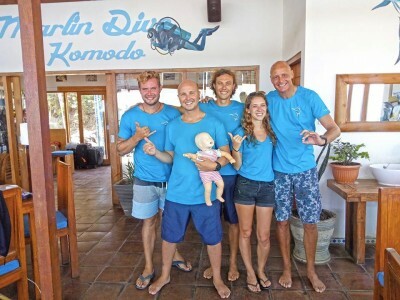 I had an amazing time doing my IDC with Matt at Blue Marlin Komodo. The course was amazing!! as i said it was one of the best experience of my life! the course is intense but Matt managed to make it funny and interesting everey time.. I learnd a lot of things and now i can recommend it!! if somebody want to start a career in scuba diving i really suggest to start with the right foot and the best way to do it is with this guy here! The course director, Matt, is amazing; during the course over that the course director, he beacame a really good friend! 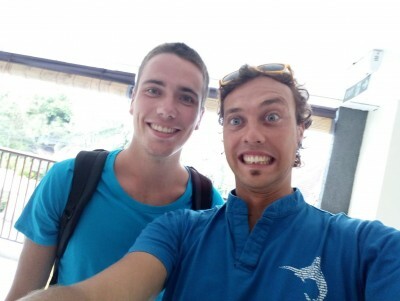 I want to say thank you very much Matt for the great experience and to introduced me in to the diving profesiolan world! 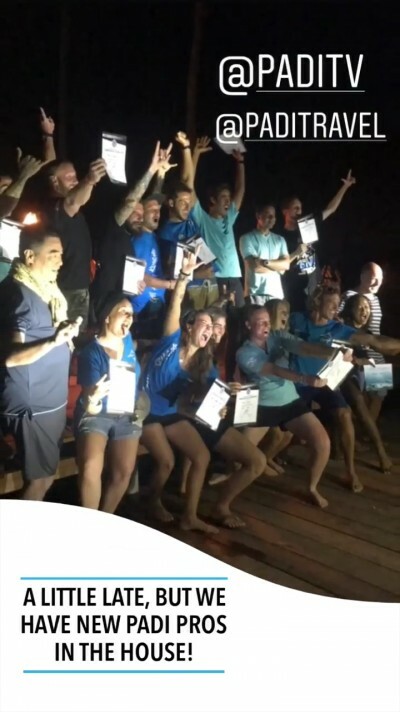 The journey to becoming a PADI instructor started with the IDC prep. In two days we went from "what is a Haldane?" to calculating mutilevel dive profiles in a matter of seconds. Then came the real deal, the IDC. With the diving theory still fresh in our brain, Matt intoduced us to our new best friend: the Instructor Manual. Our days were nicely balanced with classroom and pool sessions with time to decompress during the amazing lunches! 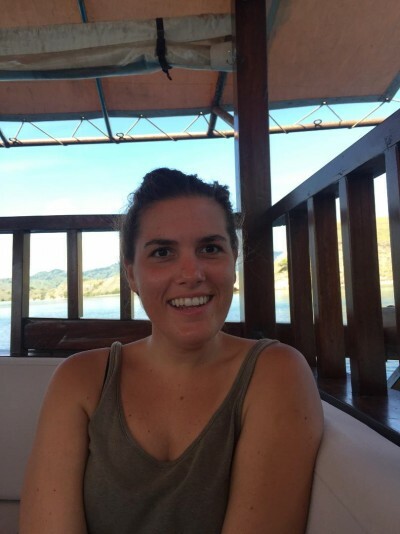 Once we were fully saturated with skills and knowledge, we headed to Gili T for our exam. Thanks for an incredible IDC Matt! Super pack incluyendo un básico en apnea, 5 especialidades, todas las comodidades de Blue Marlin Gili Air (incluyendo la increíble pileta! ), dos días de repaso teórico, muchísimos consejos que Matt tiene para hacer todo mucho mas practico (y en el idioma que quieras! 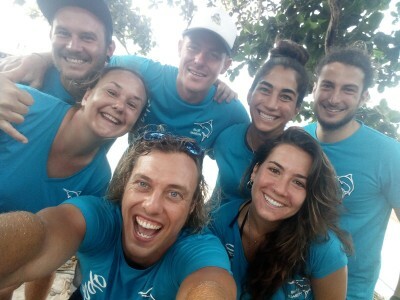 ), y el mix de felicidad que hemos creado con este hermoso grupo, han hecho de ese casi mes por Gili Air, inolvidables! 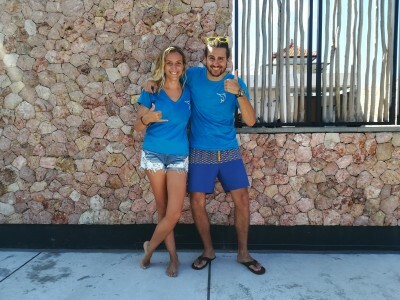 Gracias Matt y a todo el equipo de Blue Marlin Gili Air por acompañarnos en todo, espero cruzarlos pronto y quien dice también bajo el agua! ¡Muchísima graciasissssima por toda tu energía positiva que trajiste durante el curso! Yes you are ready for it! Thanks to Matt who is always there, at any time, to hep you out, answer all your questions, give good advise or just be there as a friend to have a nice chat. 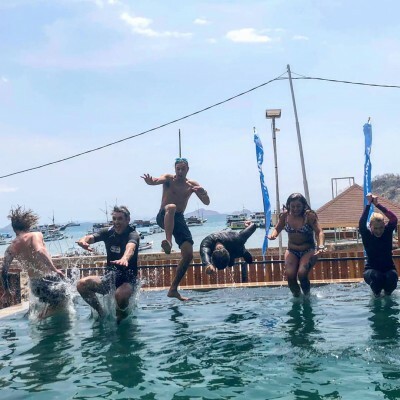 As lucky as I am, I had he opportunity to do my IDC with Matt in the lovely town of Labuan Bajo and go for practice in the beautiful waters of the Komodo National Park. Labuan Bajo is only a small town but gives you a lot of inspiration as you are surrounded by people who share the same passion, Diving! Not only on land you get good vibes, it is even getting better when you go out for practice in the park. 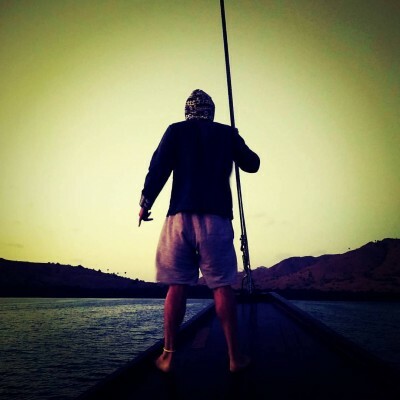 Komodo is known for is stunning view with majestic islands and of course.. current. This gives you the opportunity to learn as much as possible and make you able to teach in different conditions! I not want to tell a fairytale and say the IDC is easy and relaxing.. It is how it is, intense and fun! 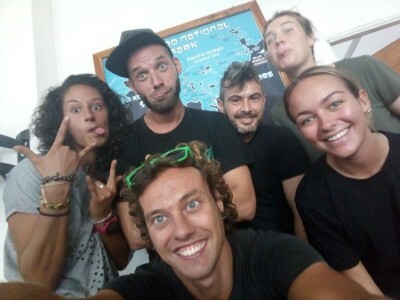 As divemaster we already have a lot of knowledge about diving, this time it was to Matt to teach us even more and make the Instructor Manual like your best friend, know it inside out. The only way to do this is by paying attention, sharing and repeating. As we were with a group of 6 people, means 6 different characters and opinions. You can imagine that this is not always easy to deal with, specially during an intensive course from only 2 weeks where you spend a lot of time in the classroom, swimmingpool, ocean and afterwords making homework. It is literally a rollercoaster, how Matt handled whit all our emotions, needs, hights and lows.. I can only say, Woaw, he did a wonderful job! How you can feel lost at the start of the IDC and feel like a fool, Matt will make u absolutely ready and confident for the IE. You practice, practice and practice and every time you get feedback, even if it is positive or negative, he do it in a way that at the end of the course the IE will be easy. Matt, thank you for the amazing time! 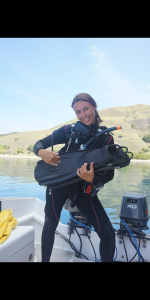 I feel more than ready to share my knowledge and passion for diving and introduce new divers to the beautiful underwater world or even upgrade divers who wants to learn more. Thank you so much Nore for the review and for your kind words. Your passion and sympathy will make you a great instructor! It was a tough time, ~2 weeks learning and studying - but it's totally worth it. 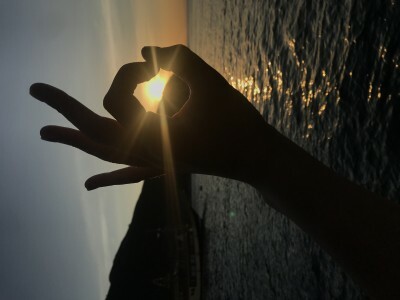 The time will pass by soo fast and suddenly everything is over. Then you think back and realize, Matt prepared you perfectly for everything. You will see, the final exams/test are pretty easy if you understand everything during the classroom. It was a great time, i really enjoyed it. Matt is a great "teacher" and he will explain and repeat everything until everyone understands it. Best of success in your diving career! 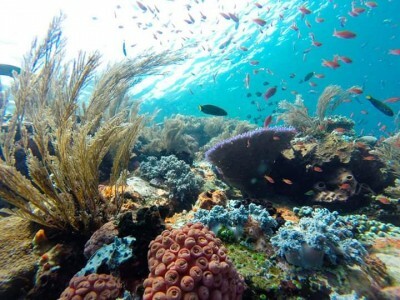 Diving in Komodo is amazing. This is where i decided to participate in the IDC Padi Instructor course at Blue Marlin Dive Center. The IDC and IE was tough, you have to put 100 percent effort and I suggest learning the theory before you do the course which will help. Thanks to Matt for his passion, energy and support to get me through the course and PASS! A truly life time memory. Thank you Jonathan for the nice review and for being such a good student! 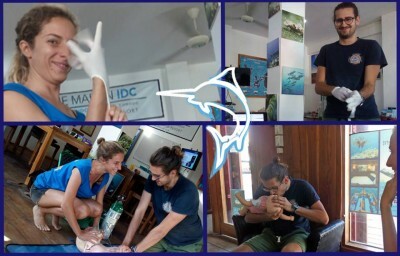 I had an amazing time doing my IDC with Matt and with Blue Marlin :) Although I didn't pass with my fellow candidates due to some equalizing issues Matt was there for me pushing me to continue on the next IE even when I was a little hesitant. He made me believe in my capabilities as a future instructor which was awesome. He is an amazing course director and Im so glad I did it with him and BM, I wouldn't redo if I got the chance :) It was challenging and definitely a rollercoaster and he definitely kicked our asses but I think we can all agree it was worth the huge smiles and celebration in the end :) Im continuing doing my IE in Gilli Air with him and I know I'll go above and beyond thanks to his prep work and the IDC itself. If you get the chance to work and study under him you're career in diving is set, you'll feel so prepared beyond what you thought!! Such a good time doing my idc with Matt at Blue Marlin! Highly recommend it for other Divemasters out there ! I wish you all the best in your dive career! 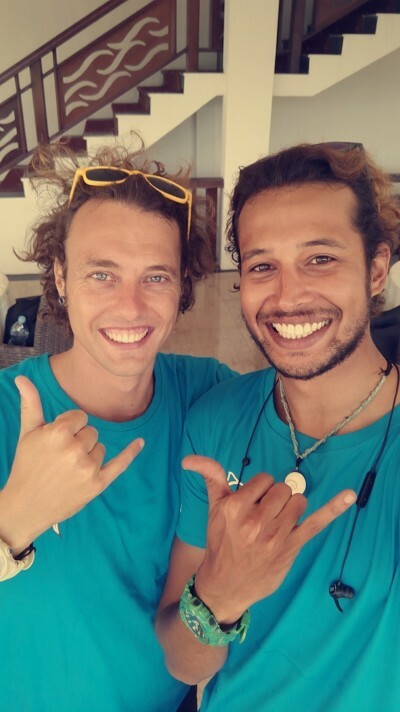 I have attended the IDC with Matt.. in August 2018 on Komodo, and can say its been tough for me and him. 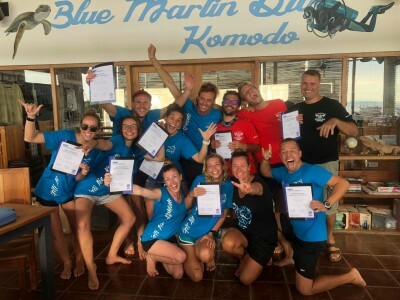 Compared to other people, who jumped straight from the DMI to the IDC I did my divemaster a year ago in Costa Rica, and there wasnt (much) theory left. But somehow Matt managed to squeeze all the important Informations into my head, which wasnt always easy for both of us. During the IDC, you gonna be busy replying to Matts messaged, if you have compleded your homework exams, studying, or more studying. haha. So basically Matt is your best friend and enemy at the same time. I do not think there is another IDC out there like the one with Blue Marlin Diving in Komodo. 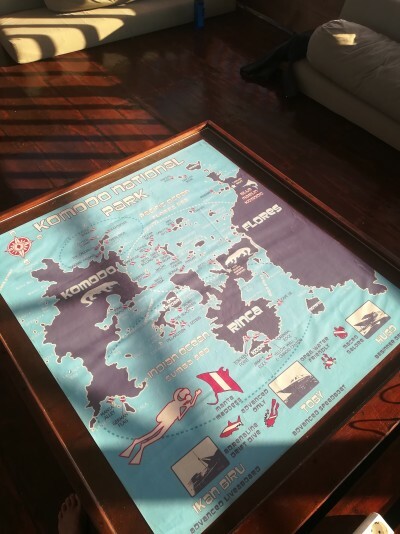 This is because the groups are small and the athmosphere in Labuan Bajo is amazing and also ive heard there is good diving in Komodo national park... yeah apparently you can see Mantas there. I also did the speciality Instructor with matt, which involved a 4 day Liveabroad trip on a sick boat with a lot of good food and good banter and a Parrot, which called Gustoo i think. I really can recommand doing the specialty instructor as there is not as much diving involved in the IDC as you expect. I do not want to say too much but if you want to do your IDC somwhere special and not witha tons of people in Mexico, Hunduras, Bali or the Gilis, come to Komdo, its definitely worth it. Baaam Junge ! "Matt is your best friend and enemy at the same time"
Thank you very much for the review Marvin. Best of success in your Career! Hello to you reading this. If you thinking about doing your IDC, I would strongly recommend you MATT, he is a very professional and organized Course Director. You will go trough all the stuff which is really important for the final exam and if you have any problem on some topic Matt will not rest till you have fully understood it (Don´t try to act like you have understood if you haven´t, he will recognize it. :-D).This makes the course with Matt failsafe. For sure you will have a lot of homework and the IDC will be taff but I prefer this way than going to the IE with without the sureness that you will pass the exam. But besides from all that I see in Matt a friend, a good chess player and somebody who will help me during my diving career. I also recommend the MSDT, It´s a really good deal. Matt, Paul and Sarah do also a great job on this one. I´ll not explain too much because you should just do it, it´s amazing. PS: You should not put your mask on your forehead otherwise it´s costs you a Beer. Thank you for the nice words Franz, and best of success on your career! Become a Pro with a real Pro ! Matt is an extremely organized and professional course director who will push you to attain a level of quality that is well above industry standards. It involves a lot of focus, a lot of homework but also a lot of fun! Labuan Bajo is a nice little town with everything you need and a lot of not-so-secret roof tops to eat amazing food and watch even more amazing sunsets. Come the day of the Instructor Examination, you will be extremely well prepared thanks to all of the homework and advice Matt will give you (I managed to finish the written exams one hour ahead of time). Your presenting skills will be so polished and ready due to Matt's perfectionism, that you will surely pass with top marks. For all of these reasons, I couldn't recommend the IDC with Matt enough and will definitely keep very fond memories of the IDC. I would also like to finish with a word on the MSDT on Blue Marlin's Liveaboard Ikan Biru - this was the cherry at the top of the cake and extremely good value, as you get to become a specialties instructor while diving in the Komodo National Park, all for the price of a liveaboard trip, including wonderful food and incredible diving as part of very small groups. Thank you Matt for an experience I will never forget ! It was a pleasure to teach you and I am sure you will be a great and successful Instructor! 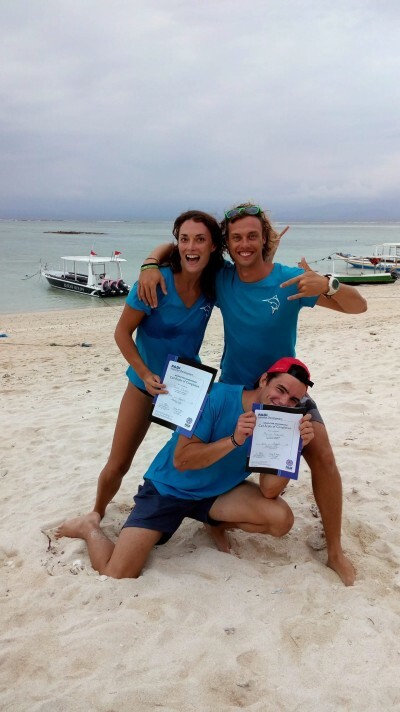 Finally got to make my mind and chose dive education with Matt to do my IDC in komodo! Getting in contact with Matt was pretty easy, he managed to be clear about all the details I wanted to know before starting the course. I had done my dive master not so long ago before so I had everything pretty much in mind except a few thing I had to go over again. Matt sent me all the theory I had to know before the course which made it even easier to get prepared. During the course if there were still things I didn't get clearly, matt would hop to one of the other many languages he knows to get around the problems and to make sure I got it properly. It is clear that he want's you to have everything clear in mind and will use all his skills and patience to get you there in time. The IDC was something intense with "up's and downs", it hasn't been without pressure and sometimes you may wonder if this was a good idea to do. But once you get to the final IE after matt's course you realise he had put the level pretty high making the exam almost taste like a piece of cake! The examinator from padi, who came to give us the exam, was really surprised as well as it was the first time in her career that all the students got 5/5 on the skills to demonstrate! Clearly, If you have money to spend, and want a good course, this is the man to contact! A great experience, thanks Matt! Tank you for the great review! I am sure you will be a great Instructor! Matt is a good and professional teacher, he knows exactly what he's talking about. The course is intense, a lot of informations, a one way to follow but all of this make the course really complete from preparation to examination. 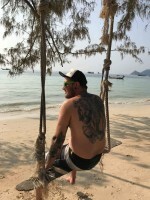 If you take your course with Matt, you will maybe be sweating a bit but you gonna be FULLY PREPARE to SUCESS on your IE and to start with your new professional teaching status, It will be a bonus to find a job because of you specialities.